As Director of Professional Services, Mark McClung provides leadership to our clients by directing diverse teams of ERP professionals through process design and implementation. Mark’s previous role as Project Manager at OmniVue gives him an in depth understanding of our client’s needs. With a solid history of seeing projects through the eyes of our clients, Mark successfully manages business objectives and exceeds project expectations. 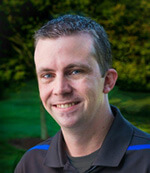 Mark is a alumni of Georgia State University and Georgia Institute of Technology holding a Bachelor of Science in Management and a Master of Science in Sports Management. In his free time, you can find Mark enjoying time with family and friends, watching college football at Bobby Dodd stadium or volunteering with Big Brothers Big Sisters of Metro Atlanta.